Answer labeling is the information to distinguish answer choices when the students answer questions on Loudclass Interactive. 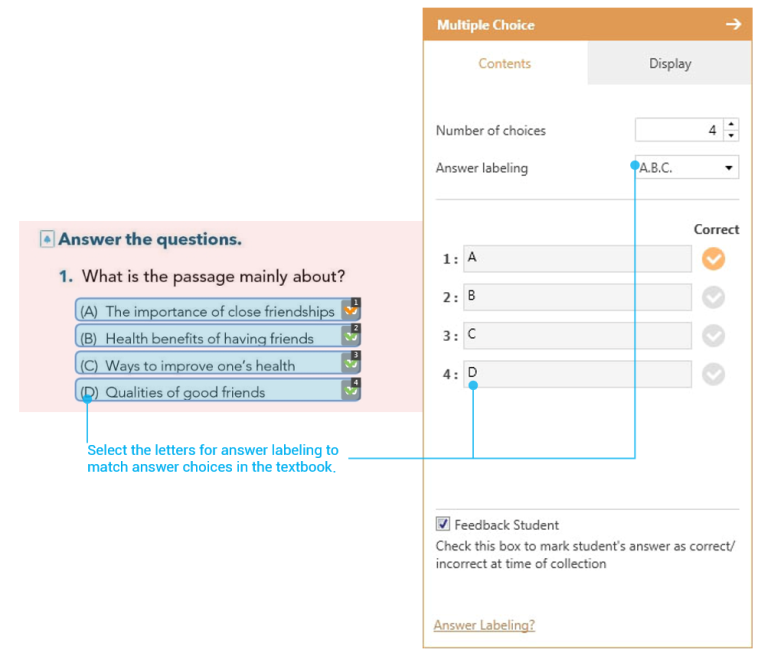 It’s recommended to use the same answer labeling option found in the source textbook. For example, if the labeling is “1, 2, 3, 4” in the source textbook, select “1,2,3” as the answer labeling option in Author. There are two types of answer labeling. 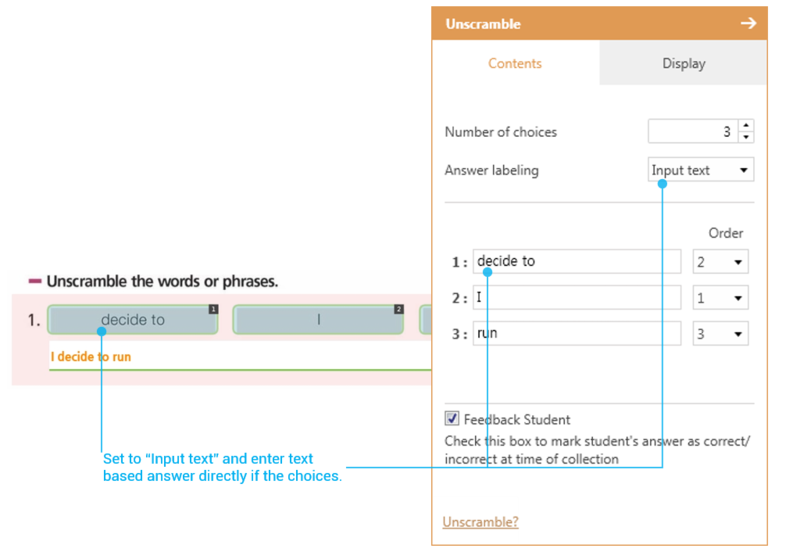 Selection of answer labeling : Answer label option is automatically used when selecting this option. Direct input of answer labeling : The author can manually enter the answer label(s). For example, answer label(s) should be manually entered when the choices are only presented as images in the source textbook.